VapeOnly Aura Mini Starter Kit is coming with the most innovative design of TAC vertical coils and with no leaking or splitting back issue, offering all vapors the best experience ever! • Top Filling: Easy Operation, anti-leaking, the e-liquid is simple to be re-filled and the coil is easy to change. • Innovative Anti-Leaking Design: Innovative top air intake, top-fill design, maximizes the prevention of e-liquid leaking. • Luft α: Innovative TAC vertical coils, twice the vapor, greatly enhances the volume of vapor and taste. Pure taste, no burnt. • Large Capacity: Long Endurance: Bulit-in 1450mAh high-quality lithium battery, designed for long usage periods. press power button and inhale (no longer than 10 seconds at one time). White LED light will illuminate when you press the power button and go out once you release. simply charge the mod by connecting it with a computer or a wall adapter via USB cable. When it's fully charged, the button light will go out. 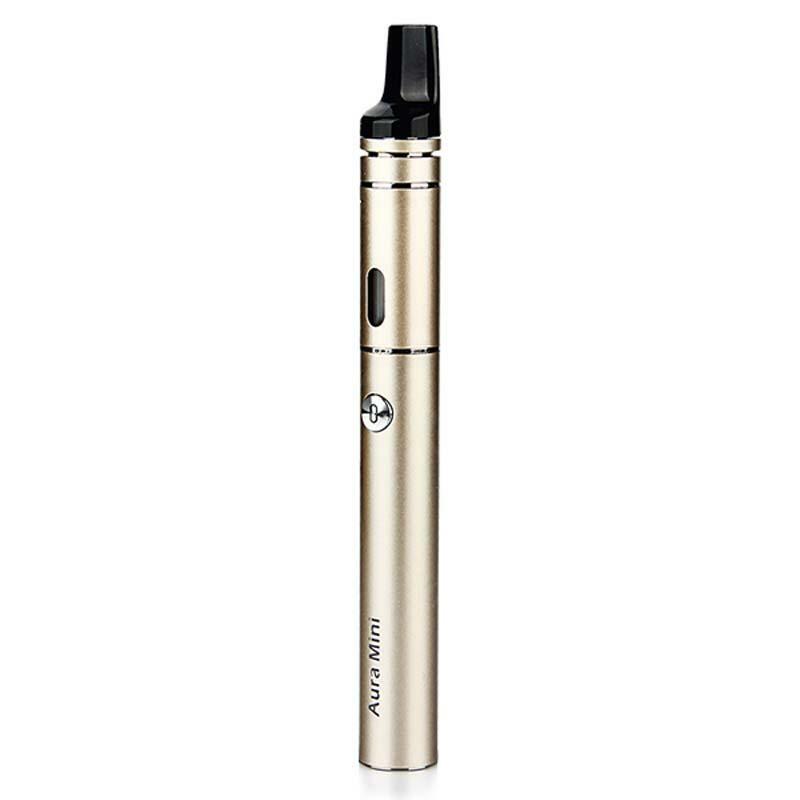 When the battery is on, atomizer will not work if its resistance is lower than 0.3ohm when you press the power button. The white LED light will double flash 5 times with the battery going to standby mode. When the battery is on and the voltage is low, hold down the power button, the white and red LED light will flash 5 times each alternatively with the battery going to standby mode and not working. Then please charge your battery. When the battery is on, if under open circuit situation or no atomizer is connected, the white LED light will have a single flash 10 times with the battery going to standby mode when you press the power button. When the battery is on, hold down the power button, the red LED light will triple flash 5 times with the battery going onto standby mode if the temperature of the device is higher than the setting point. When the battery is on, hold down the power button, the red LED light will double flash 5 times when the battery going onto standby mode if the voltage is lower than 3.5V, and the resistance is lower than 0.5Ω. • This Aura Mini kit is the winner of iF DESIGN Award 2016. I got several pen/ tube style devices and I love to try new stuff, VapeOnly Aura doesn't let me down. The shipping is fast. Thumbs up. Wonderful and high quality and very beautiful-goods. What a good site!! Very pleased with Aura. Genuine product, I will be ordering again.